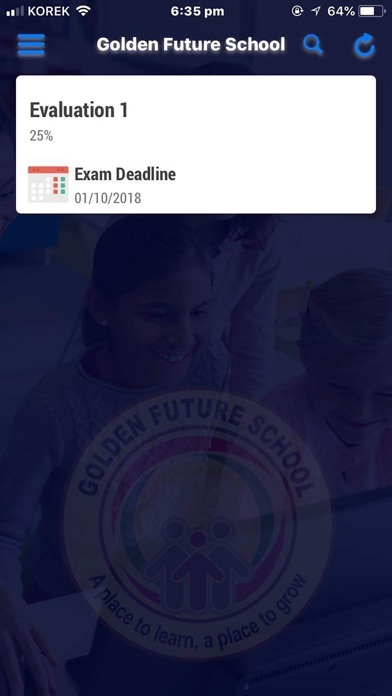 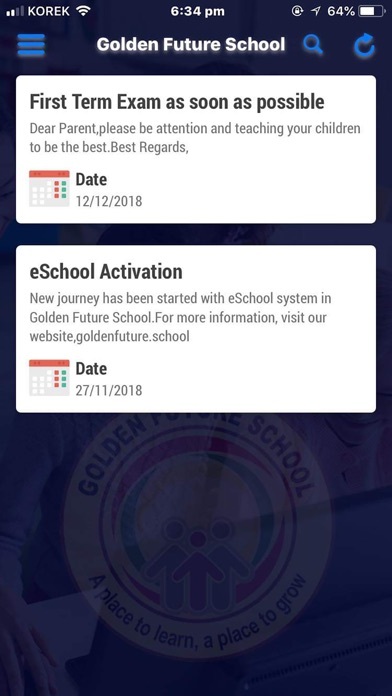 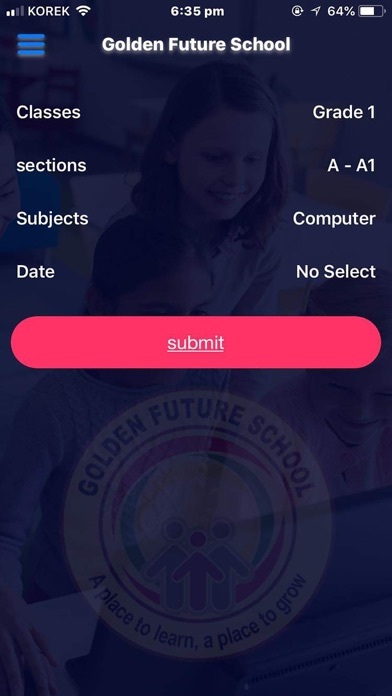 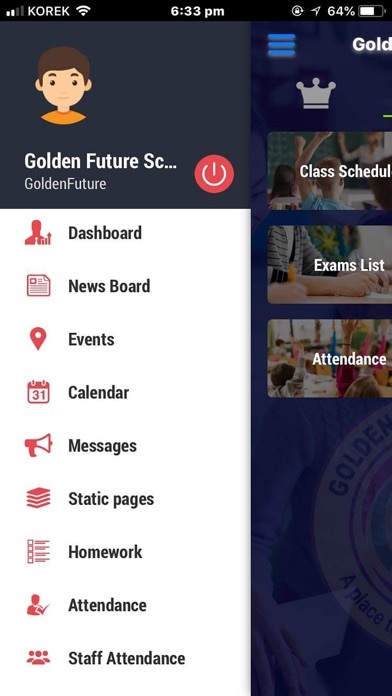 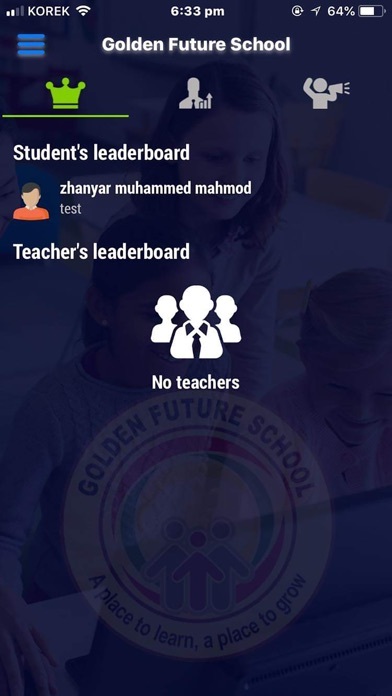 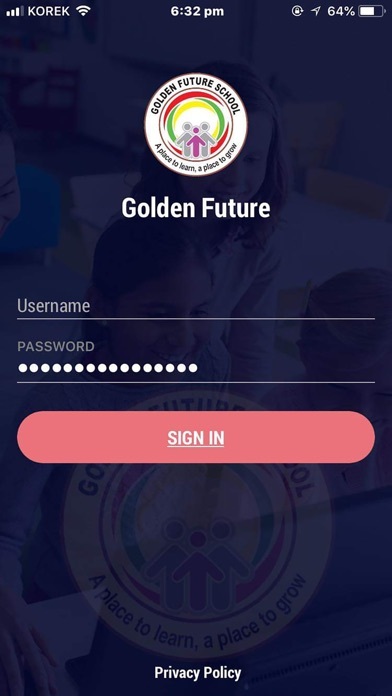 Features of Golden Future app, •	Dashboard •	Messaging/Communication between Admins, teachers, parents, students. 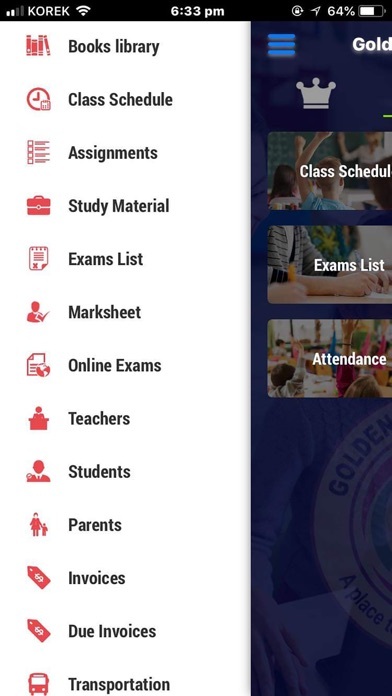 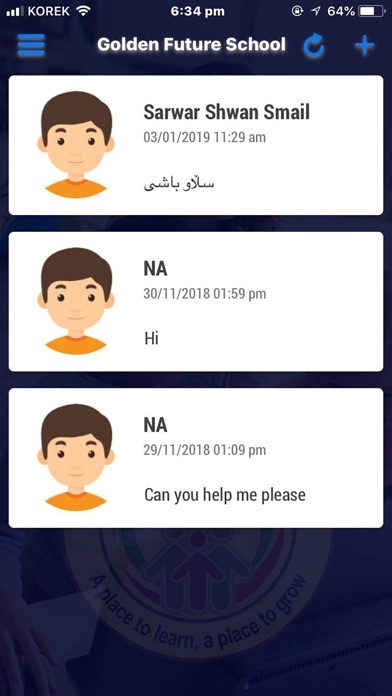 •	Control students attendance •	Control students assignments •	Control students homework •	Control Exams and marks evaluation •	News notification, keep in touch. 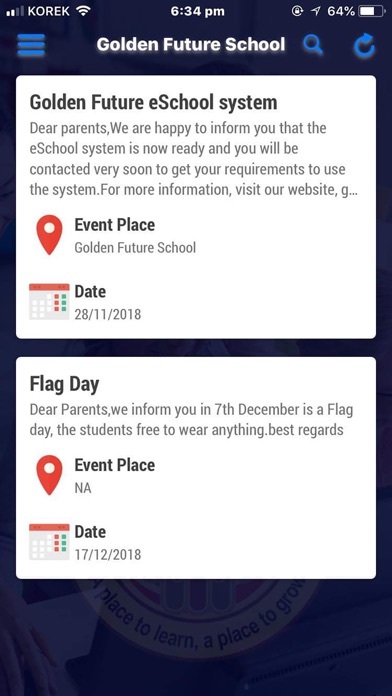 •	Events notification, keep in touch. 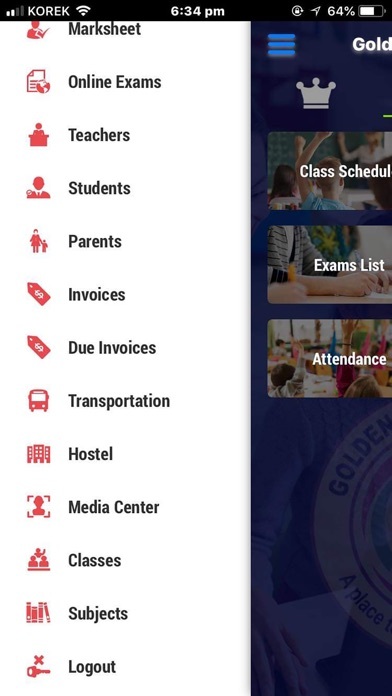 •	Control your transportations •	View your timetable, always be in time •	Control Media center albums and media •	Download and control your study materials •	View forums and interact with its categories and posts •	Watch your inquires, solve your problems •	Apply for your leaves •	Keep up the student health records situation, always be healthy •	Your school important dates in your calendar •	Control students hostels •	Get notifications about what do you care •	Parents follow-up to children •	Your school at your pocket.